Reference is made to the stock exchange notice dated March 14, 2017 where Golden Ocean Group Limited (NASDAQ and OSE: GOGL) (Golden Ocean) announced that it has entered into agreements to acquire 16 modern dry bulk vessels in an all-share transaction where the Company will issue in aggregate 17.8 million consideration shares. 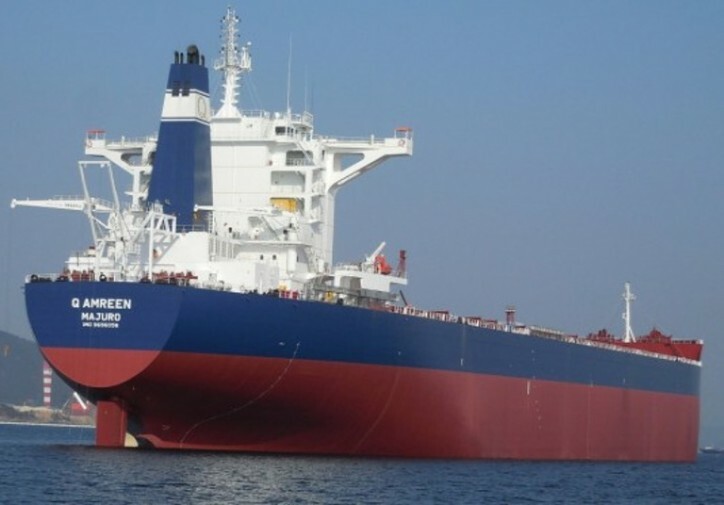 The Company announced yesterday that it has taken delivery of additional one vessel, Q Amreen (to be renamed Golden Amreen). Golden Ocean has issued 1.2 million consideration shares to Quintana Shipping Ltd. and associated companies in exchange for the vessel. Following this transaction, the Company's issued share capital is USD 5,953,649.60 divided into 119,072,992 issued shares, each with a nominal value of USD 0.05.